2 Community Life Fellowsip Altadena, California. Altadena, California. A brief introduction to the church and pastor. Online newsletter. SiteBook Altadena City Portrait of Altadena in California. 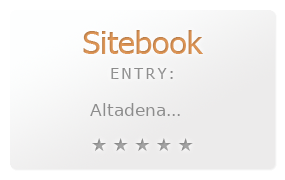 This Topic site Altadena got a rating of 3 SiteBook.org Points according to the views of this profile site.